Remady is out with the music video to his new single ‘Do It On My Own’, featuring vocals from Craig David, off the DJ’s album ‘No Superstar’, out now. Watch it via YouTube below. 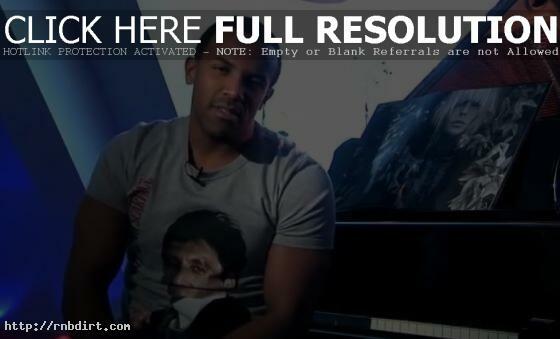 Craig David’s latest “Song That…” video features the British R&B singer talking about the song that “Makes You Dance.” Craig cited Lady Gaga’s ‘Just Dance’. “It’s been her year. Last year was her year,” Craig explained. “The came on the scene with that whole kind of out there look, out there feel, pushing the boundaries with the music being so on point. I think that she’s great with the melodies. The girl can really sing and she can play. I think ‘Just Dance’ is a great feel good record.” Watch the comments via YouTube below. 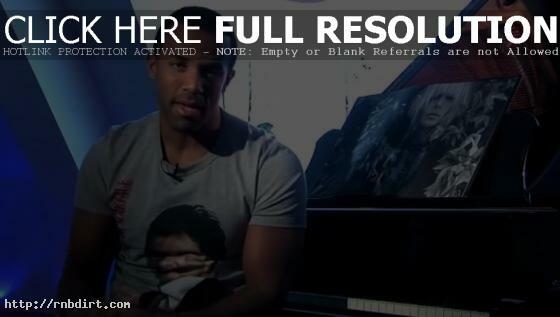 Craig David’s latest “Song That…” video features the British R&B singer talking about the song that he loves, which is ‘Meet Me Halfway’ by the Black Eyed Peas. “I just think that the song is infectious. I heard the album when I was getting into ‘I’ve Got A Feeling’, I just thought this has to be a single all the way,” Craig said. “It sounds wicked. Fergie sounds great on the record.” Watch the commentary via YouTube below. 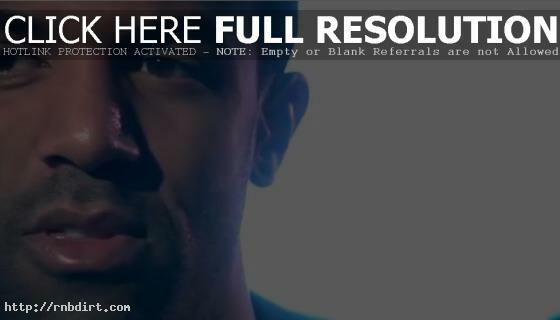 Craig David checked in with a video talking about a song that he wished he had written – 50 Cent’s 2003 hit ‘In Da Club’. “He was singing the melody. It was a pop song, that’s why it worked,” Craig explained. “It wasn’t just straight up, I’m a hip hop artist, I’m going to do some sort of hip hop thing through the chorus. Not really a structured melody. He had it locked down. It was hookey, it worked.” Watch the comments via YouTube below. Craig David is out with the video to his new single ‘All Alone Tonight (Stop, Look, Listen)’, a cover of The Stylistics 1971 song, off the British R&B singer’s fifth studio album ‘Signed Sealed Delivered’, out now on Universal Music. Watch it via YouTube below. Craig David talked about a song off his new album ‘Signed Sealed Delivered’ called ‘Let’s Stay Together’ on his YouTube channel. The British R&B singer said the Al Green classic factored in the direction of his music career. “It took me back to a period of time where I was trying to find myself as an artist,” Craig explained. “Did I want to sing? Did I want to be a DJ? Did I want to continue going to school, jump to college, university, I didn’t really know where I wanted to go but I did know I loved music.” Video at YouTube has since been removed. Craig David talked about a song off his new album ‘Signed Sealed Delivered’ called ‘I Wonder Why’ on his YouTube channel. The British R&B singer said, “It was always one of my favorites growing up, always wanted to sing it,” Craig said. “I think when the album was all falling into artists who were from the Motown label, it kind of threw everyone because it was almost turning into this Motown record, and I was like, I wonder why. That was out of the context of where we’re trying to do. This record is all about the songs that I love, so to be honest, it could be a song from the ’90s, or from back in the ’40s, that was the way I approached this album.” The commentary at YouTube has since been removed. Craig David talked with ITN about his new record ‘Signed Sealed Delivered’, an album sampling hits from the Motown era, and says he helped paved the way for a whole generation of urban music stars in the UK. “I felt I have confirmation I can write hit songs,” Craig said. “I know that, and I will write more hit songs in my career. This record was more about can you vocally step up and sing a song like ‘For Once In My Life’ by Stevie Wonder, and carry it. Because I think there’s not many vocalists in the world that can really carry a Stevie Wonder performance. So I hope I’ve done that justice. Then there will be new material with some interesting styles to it. I’m 28 years old. I came from a scene and opened doors for a lot of the artists that are coming through now. Taio Cruz, the Jay Sean’s, Dizzee Rascal, Wiley, Chipmunk, all these people were from the same era and place that I started off with in the Artful Dodger, so I’m excited about the new music coming out as well.” Watch the comments via YouTube below. Craig David talked about a song off his new album ‘Signed Sealed Delivered’ called ‘Heard It Through The Grapevine’ on his YouTube channel. The British R&B singer said, “It’s just got an infectious melody, and lyrically it’s really cool. I think there’s a new respect for the lyrics to the song.” The commentary at YouTube has since been removed. Craig David talked about a song off his new album ‘Signed Sealed Delivered’ called ‘All Alone Tonight (Stop, Look, Listen)’ on his YouTube channel. The British R&B singer said, “I wanted to write a song that again respected the original, ‘Stop Look, Listen’, but at the same time brought about something that’s all about me.” Video of the comments at YouTube have since been removed.